Shelley Wolf is a creator of magic tricks for kids. Her husband Chance Wolf is a well-known comic book illustrator for titles like Spawn. 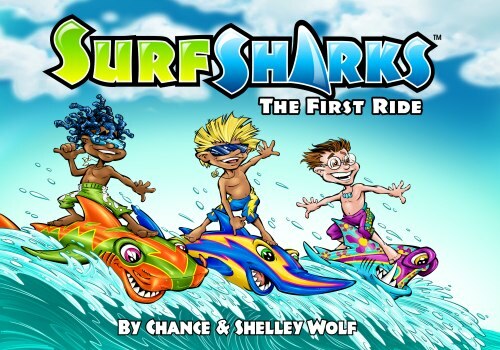 When the two of them noticed how their son was getting really into shark lore, they decided to use that as an inspiration for a new series of books for kids. 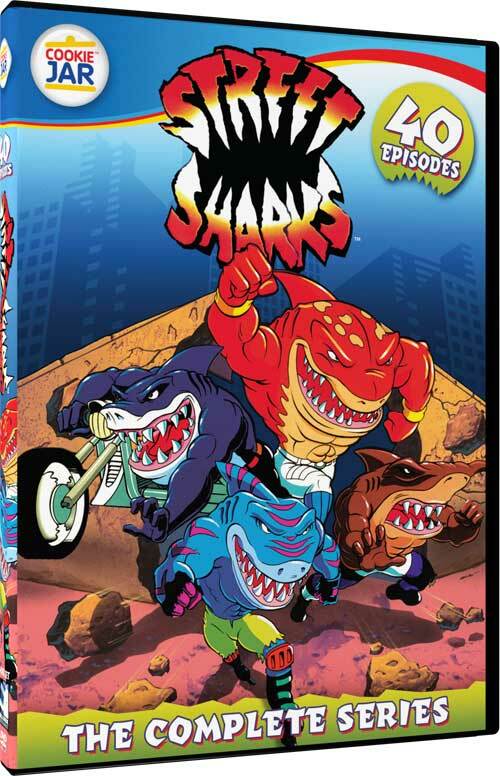 And so the Surf Sharks were born. 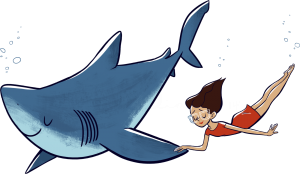 The idea is simple: Three beach kids and three talking sharks hook up to ride the waves, have adventures, and learn more about our oceans. Surf Sharks: The First Ride just came out in hardcover from Surf Sharks Inc, and it’s available on Amazon. 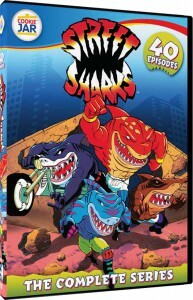 The creators also have a Surf Sharks web site with the books and other collectible shark stuff available. 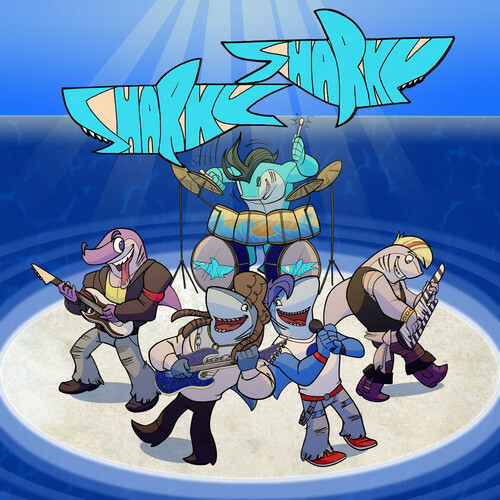 This issue, we take a look at the best-selling comic book about ponies ever, catch up on IDW’s other funny animal comic book series, and end with a brand new Marvel mutant with the ability to turn into a shark — because superheroes do believable stuff like that now! 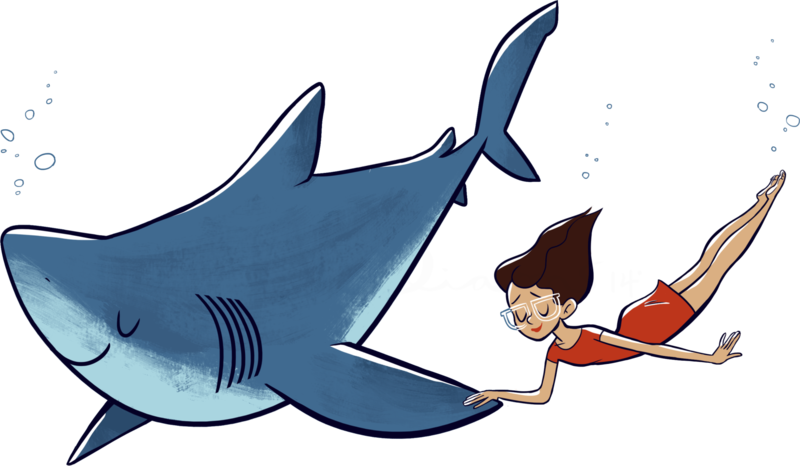 A female shark has been without male shark lovin' for some time, but can still lay viable eggs, which hatch 15 days later. Shark fin DNA test "conservation breakthrough"
have developed a special test to identify 10 threated types of sharks by the DNA left in the fin. Cursory tests in a Hong Kong fish market showed a fifth of the fins tested were mislabled. 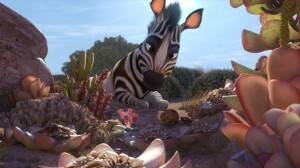 This will ultimatly make it simpler to prove the impact of fisheries on endagered species. According to this article at CNN, a popular Hawaiian snorkeling location has been posted with signs to warn swimmers of potential danger from sharks. It seems the locals have long been aware of it, but tourists aren't. Some interesting stuff from Scientific American today... apparently great white sharks like their wives to stay home while they wander. And more disturbing, an article about the decline of the sea turtle because of poaching. This one contains a couple of disturbing and graphic pictures of turtles being cut up in restaurants, so don't read this one over lunch. There are prettier pictures, too, though.